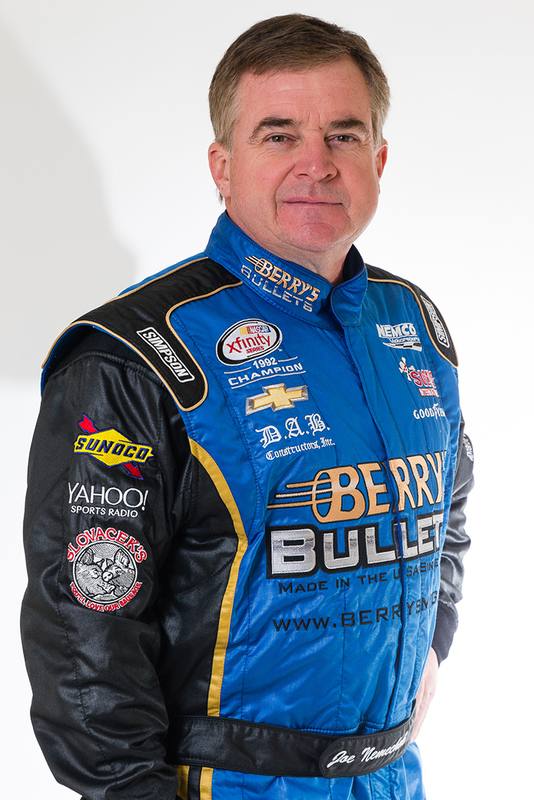 Joe Nemechek debuted in NASCAR national series competition in 1989 in the NASCAR XFINITY Series. Across all three top-tier NASCAR series, the Monster Energy NASCAR Cup Series, NASCAR XFINITY Series, and NASCAR Camping World Truck Series, Nemechek has 1,146 combined starts, only following Richard Petty for the most NASCAR starts, respectively. The Lakeland, Fla., native, has earned four victories (New Hampshire Motor Speedway, Rockingham Speedway, Richmond International Raceway, and Kansas Speedway) in 667 Monster Energy NASCAR Cup Series starts. In addition, the 1992 NASCAR XFINITY Series champion has 16 wins, 74 top-five and 126 top-10 finishes in the NASCAR XFINITY Series. Earning the nickname “Front Row Joe,” Nemechek has posted 28 collective pole awards. Nemechek was named the 1990 Rookie of the Year for the NASCAR XFINITY Series. The NEMCO Motorsports team owner and driver was award the 1992 and 1993 Most Popular Driver for the NASCAR XFINITY Series.